This came out during a media tour of the prison on Saturday. 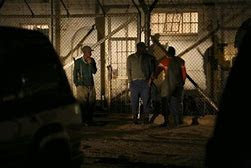 Inmates claimed they cannot sleep owing to overcrowding and complained about acute shortages of food and medicines. Member-in-charge of Mutare Remand Prison, Maplan Kakoto echoed the prisoners’ plight and appealed for help. “We need help to be a real correctional service, but the government can’t afford it alone, so we need partners, who can help in any way,” he said. “Currently, prisoners are overcrowded at Mutare Remand Prison. We have a holding capacity of 175 prisoners, but currently, we have at least 494, which is a big number. Mutare Farm Prison which can only take 320 offenders, has 414 inmates. “It’s difficult here. We are overcrowded. There is no space to sleep; sometimes we sleep seated,” he said.